Oahe Veterinary Clinic is seeking a veterinarian to join our mixed animal practice. The practice is located in the heart of central South Dakota. Pierre/Fort Pierre are towns full of activities for any outdoor enthusiast. With our location right on the Missouri River, boating, fishing and camping opportunities are abundant. Our practice is three veterinarian mixed animal clinic. We are equipped with three portable hydraulic chutes, haul in facilities with a hydraulic chute in clinic, 2 Easi-scan ultrasound units, equine stocks, digital X-ray, ultrasonic dental machine, gas anesthesia, and serum chemistry/CBC in house. Our team is searching for a full-time veterinarian that is motivated, well rounded, has excellent communication skills and is interested in practicing high quality, mixed animal medicine. We welcome applicants with other interests and talents that could help us expand and grow as well. 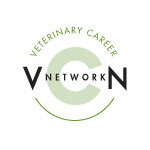 Our current veterinarians have over 60 years’ worth of experience that a new/recent graduate could use for mentorship. The clinic is open M-F, 8-12p and 1-5pm. We do not have Saturday hours, but emergency services will be split among all veterinarians. We offer a competitive salary, health insurance, paid vacation, continuing education, association and professional dues, matched 401K, cell phone, a practice vehicle and necessary equipment, along with an experienced support staff. Please contact Dr. Heather Carlisle at (605) 280-1654 for more information. Send a cover letter and resume to carlisledvm@gmail.com.